The much awaited trailer of Kamal Haasan-starrer Tamil comedy drama "Uttama Villain" will be unveiled Jan 14 on the festive occasion of Pongal. Directed by Ramesh Arvind, the film also stars Andrea Jeremiah, Pooja Kumar and Parvathy Nair in lead roles. "Curious to know your reaction to #UttamaVillain trailer releasing Jan 14 (sic)," tweeted Ramesh Aravind. Kamal plays a dual role of a modern-day superstar and an 8th century theatre artist. Late legendary filmmaker K. Balachander, mentor of Kamal and Aravind, has played an important role in the film. 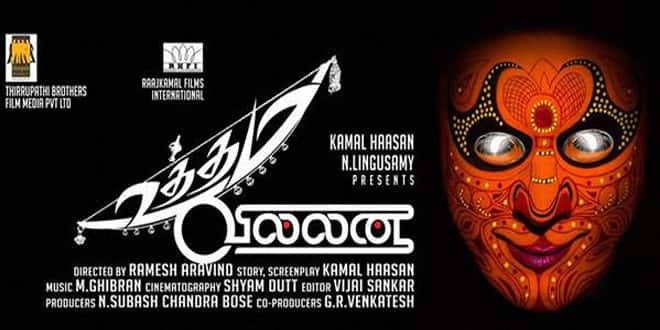 "Uttama Villain" also features K. Vishwanath, Jayaraman, Nasser, Urvashi and M.S Bhaskar in important roles.